Millennials are not a homogenous group of individuals, so a one-size-fits-all marcomms approach won't work. Millennials want healthy food and are willing to spend more on it. Oh wait, no – Millennials are in debt and want healthy food at affordable prices. They are also self-entitled. But they’re creative and tech-savvy, so that’s a good thing. And don’t try traditional advertising with them, stick to social media. If all of this sounds familiar, that’s because it’s a small glimpse of the countless contradicting reports on Millennials. Type in the term "Millennials" on Google and the screen will flood with articles about the generation – how to market to them, how to work with them, how to understand them. Millennials – born between 1981 and 1997, according to the Pew Research Center – are not a homogenous group of individuals. Some were born and raised with dial-up Internet, cable TV, AOL Instant Messenger, and landline phones, while others are used to high-speed Wi-Fi, Netflix, Facebook, and smartphones. A one-size-fits-all marcomms approach won’t work. This generation is the most racially diverse in US history. The group also has varying opinions on social, political, and financial issues. Pew’s Millennials in Adulthood study revealed that 50% say they’re political independents, about 30% are not affiliated with a religion, and 55% favor a path to citizenship for undocumented immigrants. Perhaps more marketers and communicators should research targeted audiences within the Millennial category – those between 18 and 21 or 28 to 34 years old, urban versus suburban, or different ethnic groups. Current Lifestyle Marketing has a good example from last September when it revealed results from a study on Millennial moms. In addition to expanding how brands research and market to Millennials, they need to start remembering all the other generations, such as Generation X and Baby Boomers. Just a few weeks ago Whole Foods announced a plan to develop a new innovative, less expensive grocery chain for Millennials. The day after the announcement, the company’s shares dipped 9%. Maybe stockholders find the idea as unnecessary as I do. According to a Nielsen survey, one-third of Millennials say healthy food is very important, and 29% say they’re very willing to pay premium prices for healthier products. If Whole Foods wants to create a new line of affordable stores, instead of offering more affordable products within existing locations, it should look at other generational groups too. Gen X – the oft forgotten middle child of the Millennials and Baby Boomers – has the highest amount of debt of any generation in the US right now, according to Experian. Also, people tend to think Baby Boomers have more disposable income because many within the group are retired, but the generation is actually being weighed down by debt from helping kids or grandkids with student loans. An analysis of government data by LIMRA Secure Retirement Institute states that education debt for Baby Boomers is six times what it was 25 years ago, putting the group in financial hardship at the time of retirement. Aside from financial issues, both of these generations are just as important as Millennials from a marketing and communications perspective. Boomers are projected to number in at 74.9 million people this year, falling slightly behind Millennials at 75.3 million, the US Census Bureau states. And Gen X’s population is expected to outnumber Boomers in 13 years. In my four years at PRWeek, I’ve never once been pitched a study or research story specifically about Generation X. 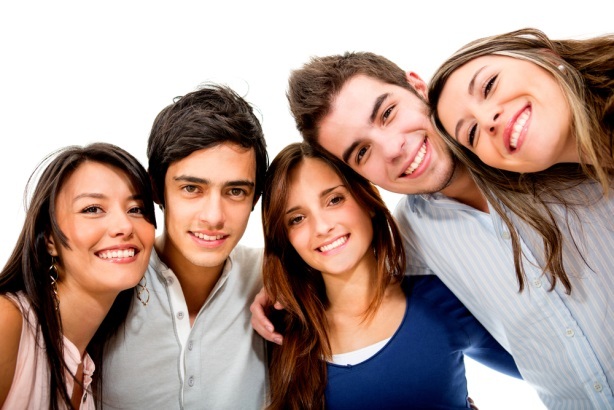 The group sometimes falls into a larger survey, but only to compare the stats of Millennials. Ketchum recently made strides on the Boomer front, launching a specialty unit called 50+ to help clients engage with consumers aged 50-years-old and up after finding that the segment is often overlooked by marketers. And one more generation to keep in mind: Gen Z, those born in the mid-90s to the early ’00s, who are coming up quickly behind Millennials. Brands and marketers shouldn’t completely stray away from Millennials – it’s clearly an influential and large group of consumers. But doing research and communicating to more specific audiences within the generation could make marcomms efforts more effective. An 18-year-old graduating from high school and a 32-year-old buying a house have very different needs and views. Same goes for a Millennial from Manhattan versus one in Indiana. And communicators need to remember that Millennials aren’t the be-all and end-all. We’re an important segment of the overall consumer map across America (yes, I’m part of this group), but the other generations that have just as much buying power as we do shouldn’t be neglected.